Paul is a man of many festivals. He even has a catchy performance poem about it. Last night, he was launching his new book The Edinburgh Fringe in a Nutshell which is somewhat optimistically subtitled A Performer’s Guide to Staying Solvent and Sane at the World’s Biggest Arts Festival. The first part – staying solvent – might be possible after reading this book. The second – staying sane – might be a fantastical step too far. Last night’s book launch also included performances from, among others, Rob Auton (who, at one Edinburgh Fringe, managed the impressive feat of getting a 5-star AND a 2-star review of the same performance of the same show), multi-award-winning poet Paul Lyalls (who one year tried to sell the exhaust from his car at his Fringe performances) and Julie Mullen (who looks sane and ‘normal’ but looks can be deceptive). 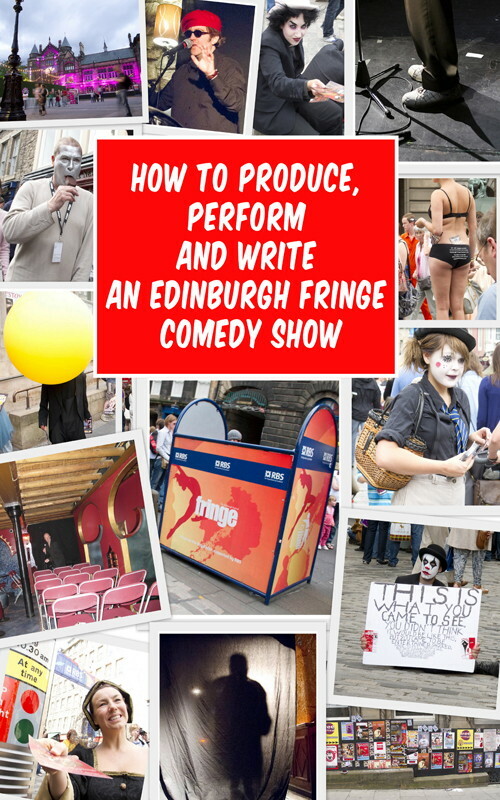 Critic Mark Fisher’s The Edinburgh Fringe Survival Guide: How to Make Your Show A Success (2012) which includes theatre as well as comedy shows… And performer Ian Fox’s How to Produce, Perform and Write an Edinburgh Fringe Comedy Show (2014, now in its second edition). “So why did you write your book?” I asked Paul Eccentric last night. “Well, people have sai…” Paul started to reply. “He wants to know where his money went,” laughed Paul. with advice from producers, performers, venue runners, publicists, reviewers and even me (I seem to have turned into a ‘Fringe commentator’ according to this book). If nothing else, it is worth reading to see that even a wise participant like Paul Eccentric who has excellent and highly practical advice to give can be conned into thinking I know what I am talking about. How many editions do books come in? I must have coughed myself awake last night, because I remember I had a dream… I only remember my dreams if I wake up during one. Yesterday evening, I had a meal at an Italian restaurant owned by Iranians in Esher with Fred Finn, the Guinness record-holder as the world’s most travelled person. He told me that his author father was called Fred Finn too and he came from a line of 17 Fred Finns. He also told me the President of Turkmenistan recently visited the Ukraine. I went to Turkmenistan in 1995. An interesting place. Last night, in my dream, comedian Ian Fox told me that he, too, had visited Turkmenistan. That was in my dream. In reality, I do not think Ian Fox has visited Turkmenistan, but he knows a lot about Edinburgh. I am obsessed with places like Turkmenistan. Comedians are currently starting their annual obsession with the Edinburgh Fringe, because the ‘cheap’ entry deadline for the festival is in two days time. Ian Fox is more than just a comedian – he is a comedian, author, blogger, professional photographer and even, last year, a successful last-minute, thrown-in-at-the-deep-end sound supervisor for the Malcolm Hardee Awards at the Fringe. 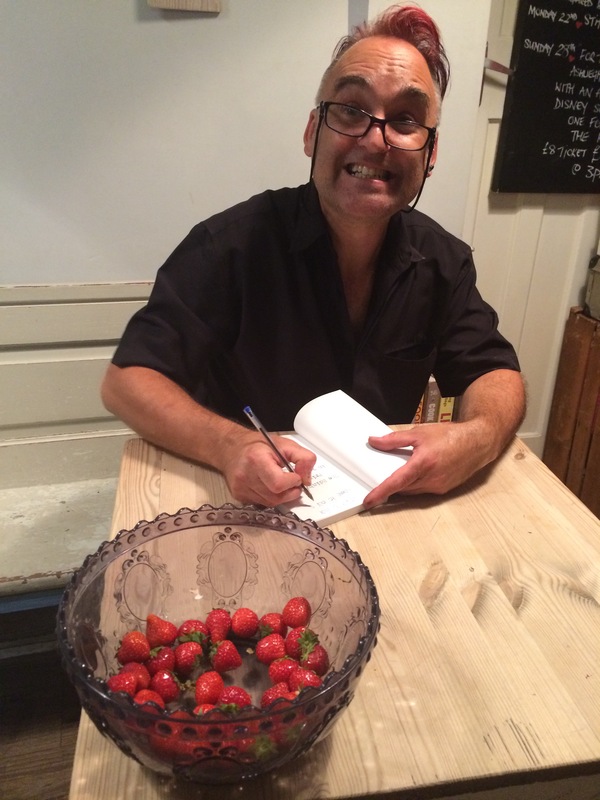 Ian has produced and performed in fourteen Fringe shows over the last nine years – which is why he can justifiably title his book How to Produce, Perform and Write an Edinburgh Fringe Comedy Show. In our new, more complicated publishing world, it comes as a paperback, in a Kindle edition and as an eBook. So, I asked him yesterday afternoon, why a book in any form? And why by him? But, I asked him, isn’t the Fringe so full of competition and rip-off venues, so chaotic and such a bottomless money pit that it’s not worth performing there at all? The alternative, I suggested, is losing less money doing a show as part of the PBH Free Fringe or the Laughing Horse Free Festival. But why should people need to buy a book? Isn’t it obvious what to do even if you are going to the Fringe for the first time? 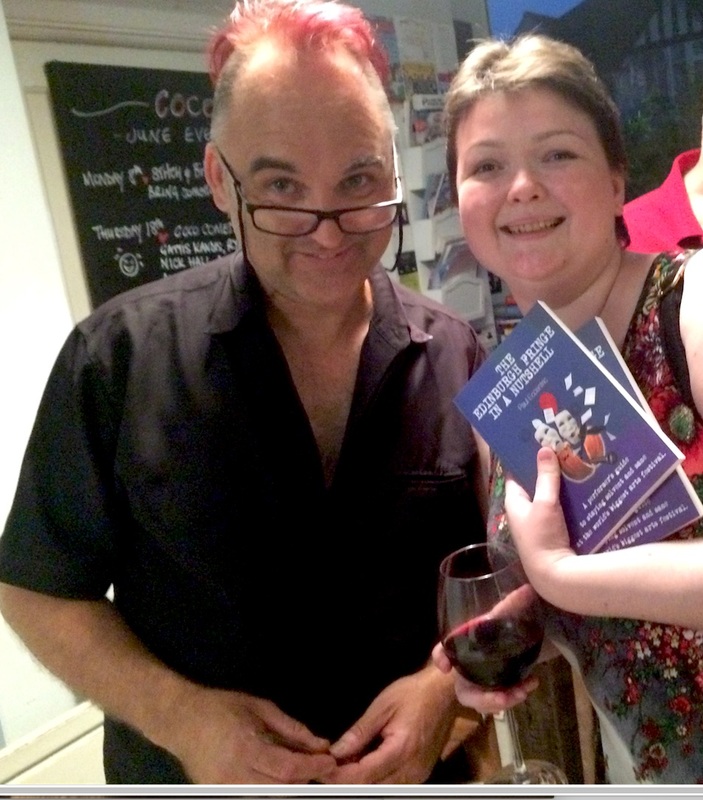 Also recently published was Mark Fisher’s book The Edinburgh Fringe Survival Guide: How to Make Your Show A Success (which I blogged about here). How are the two books different? Comedian Ashley Frieze is credited as co-author of Ian’s book. And is there another Ian Fox book on the horizon? I have occasionally blogged advice on the perils and pitfalls of staging a show at the Edinburgh Fringe. But it really requires a whole book – which is what Mark Fisher has now done with The Edinburgh Fringe Survival Guide – How to Make Your Show a Success – published today. In 1983, Mark appeared in a Fringe show called Shubinkin, which The Scotsman described as weaving “a Coronation Street idiom on a Miltonian frame”. He took part in the Fringe as part of a student production in each of the three years of his undergraduate life. 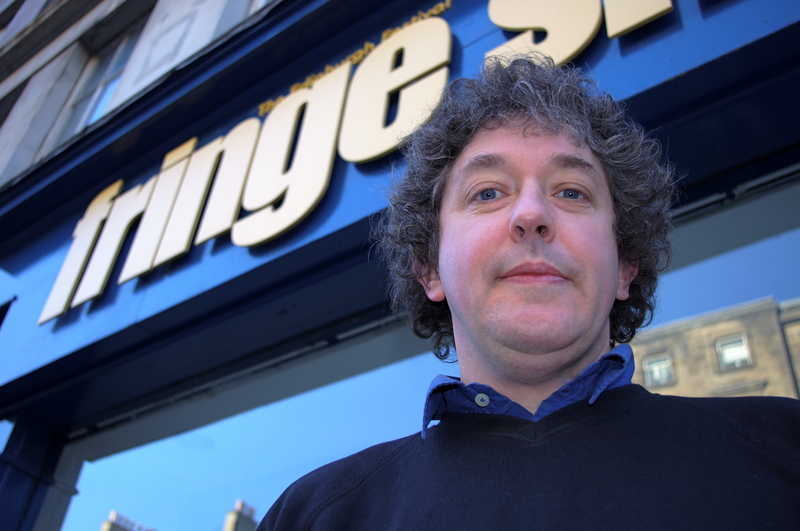 In 1986, he returned to Edinburgh to work at the Fringe Office and he is now Scottish Theatre Critic for the Guardian and Variety, a judge for the annual Scotsman Fringe First Awards and much else. There are many ways to get a book published. In 2002, I approached Random House with an idea for a book to be written by comedian Malcolm Hardee and me. They turned it down but suggested we instead write a book called Sit-Down Comedy, which a new Random House editor had been thinking about. It was published in 2003 and was recently brought out in Kindle and iBook editions. Rule One of writing books: never stop publicising them. Mark Fisher’s book came about in much the same way. It was not his idea. He got an email from Anna Brewer at Methuen Drama. She did not know him, but she had come across his theatreSCOTLAND website and she asked him if he would like to comment on a book idea she was developing: how to put on a show on the Edinburgh Festival Fringe. 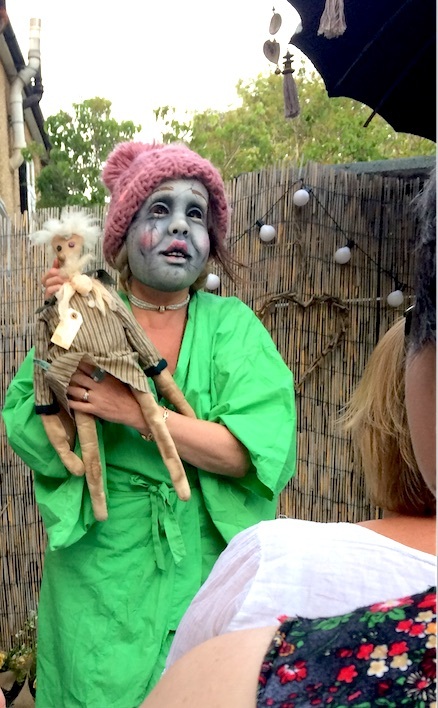 Chat shows seem to have multiplied at the Fringe in the last few years – I even did four evenings myself last year, but surely only comedy really sells at the Fringe nowadays? “Well,” says Mark, “you see some extremely inventive examples of comedy at the Fringe, so I’m not inclined to complain that it’s doing well. Even though I earn a good chunk of my income as a theatre critic, I find it hard to despair about the rise of comedy as some people do. However big comedy is, there are still 80 pages of Theatre listed in the Fringe Programme – and that doesn’t include categories such as Dance and Physical Theatre. Does anyone really think 80 pages of Theatre is too little? But, I suggest to him, surely the Free Fringe(s) are now the true spirit of the Fringe and the paid-venue Fringe tends to rip-off performers? It is a point I’ve made in several blogs. Mark disagrees. “It is hard to argue that paid venues are ripping artists off,” he tells me. “On the whole, the venue managers are in it because they like the art and what they charge for are the professional facilities that you don’t necessarily get in the free festivals. Most of them tell you that they’re lucky to break even themselves. So who, I ask him, was the best act he ever saw who never got famous by performing at the Fringe? Mark Fisher knows his Fringe from the inside out and the outside in. And, with quoted advice from comic Phil Nichol, actress Siobhan Redmond, actor/director Guy Masterson et al, his Edinburgh Fringe Survival Guide may even tell you, as claimed, How To Make Your Show a Success. Yesterday evening, I was having a drink with Italian-born stand-up comic Giacinto Palmieri. By bizarre coincidence, this book came up in conversation. He had a copy of it in his bag; he had bought it from Amazon; it had arrived the day before – two days before publication – and he was already well into reading it. So Mark Fisher had a bit of a challenge writing the book, then. But he seems to have succeeded. Where the Edinburgh Fringe is involved, anything is possible.